1815-1000 Horizontal Pebble Back Badge Holder. 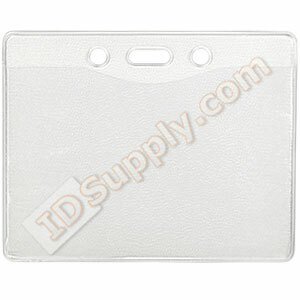 Credit Card/IBM Data Card size clear vinyl badge holder with slot and chain holes. Features a pepple back or texturized back for easier removal of the ID card.